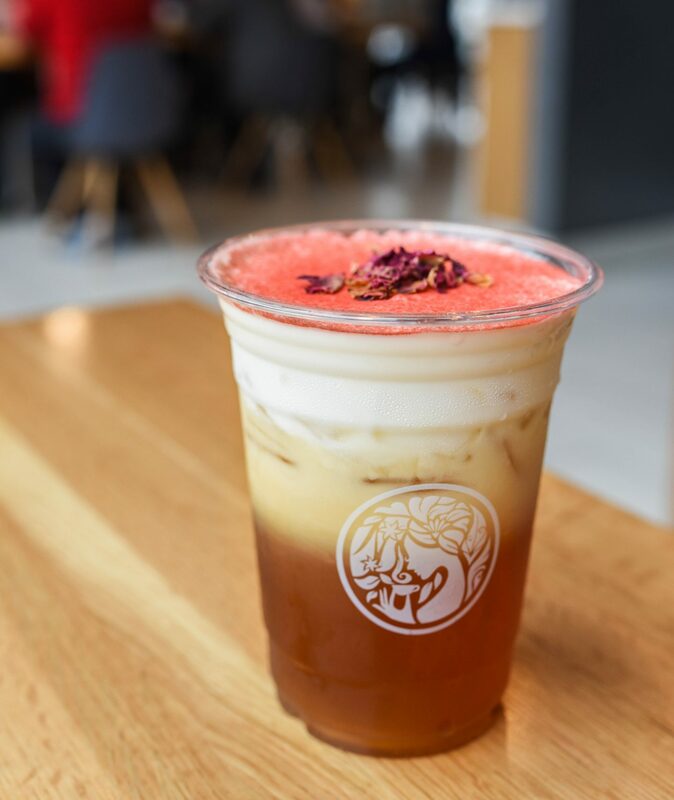 We’re thrilled to tell you guys about our new favorite boba place in Vienna, VA. We recently discovered Teas’n You by Tysons Corner, and we’re completely and utterly obsessed. 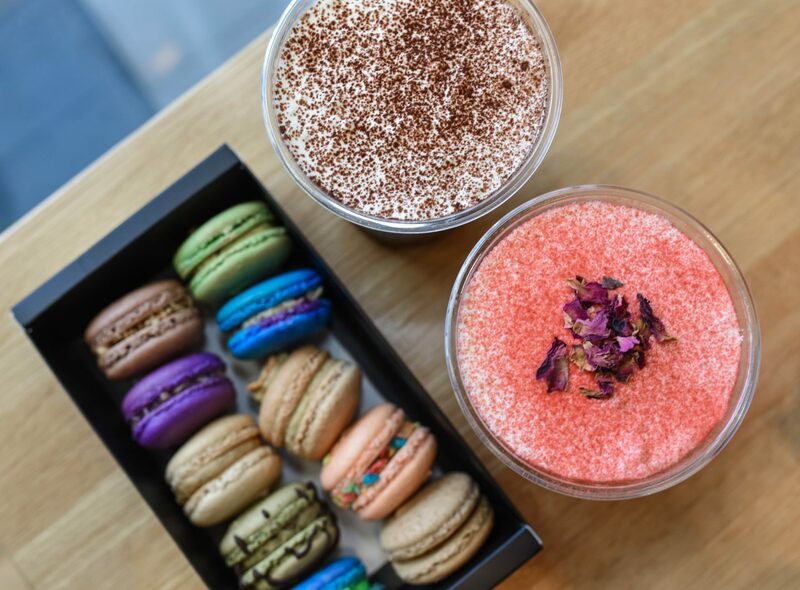 Located on 8032 Leesburg Pike, their cafe is THE place to go for delicious drinks and unique macarons. 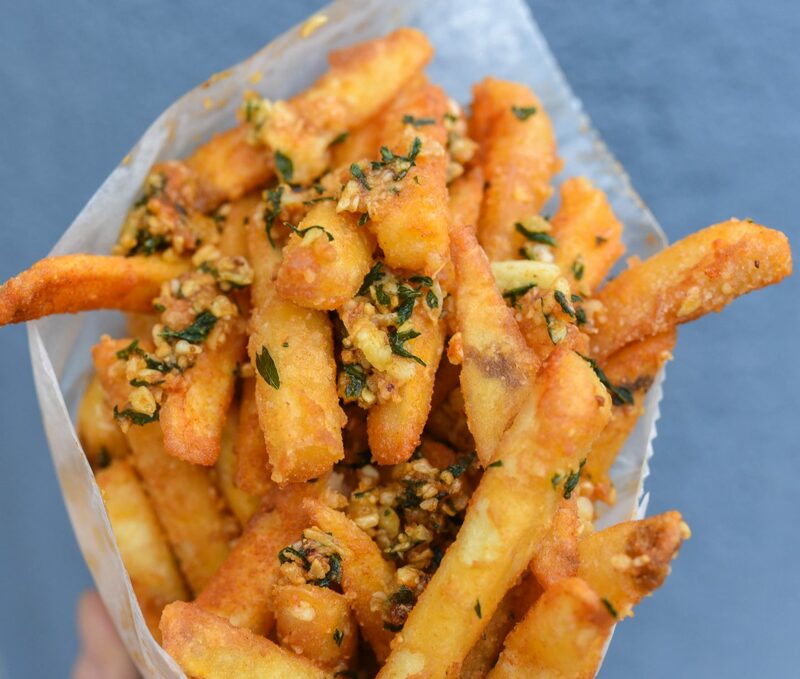 They also offer two super delish savory snacks, but more on that later. We were super impressed with their menu because there were so many interesting flavor combinations available. Their beverages were all really, REALLY delicious, but our favorites were definitely the honey green milk tea and the house special coffee. Regular’s priced at $3.95 and large is $4.75 a pop, and you can customize your drink however you please. Add-ons are 50 cents each, and they’re exotic AF – think flan custard and grass jelly. We don’t like overly sweet drinks so we went with level 2 sweetness (out of 4). Err on the side of caution if you’re unsure of what to get b/c you can always add sugar. Their second savory plate was *drum roll, please* Basil Popcorn Chicken ($6.50). Holy freakin’ crap, Nomsters, these were incredible. Perfectly fried morsels of goodness that explode with flavor? Helllll yes. We can definitely see why these babies are one of their bestsellers! If you have to choose between fries or chicken…don’t, ha. Get an order of each and enjoy! 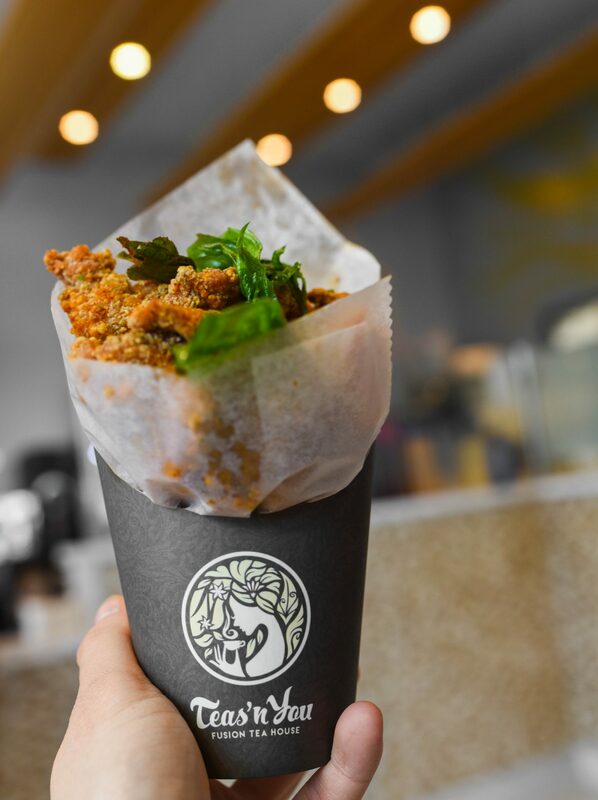 Real talk: before checking Teas’n You out, we stalked them on Yelp and saw that they sold doughssants so we were EXTRA pumped, but they no longer have them here [insert sad face]. 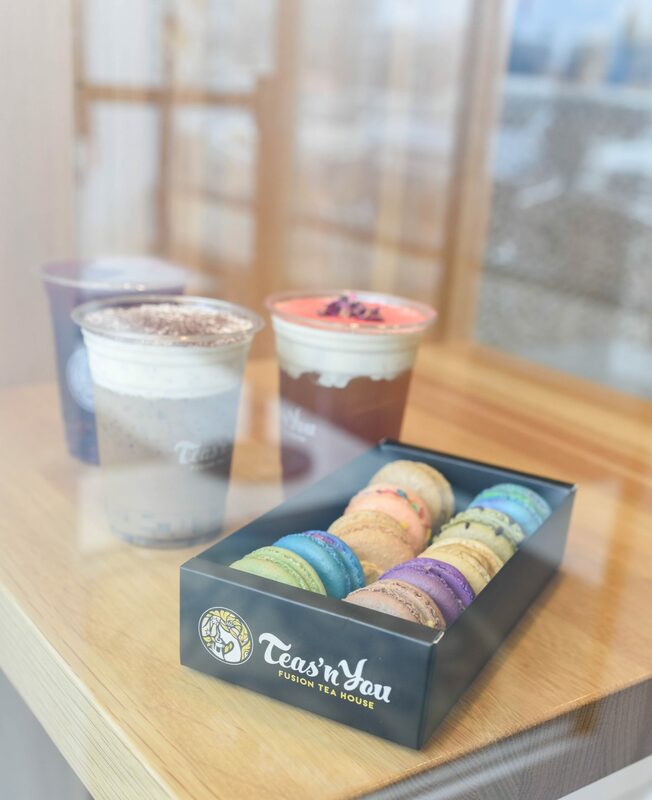 However, they’re apparently planning on selling Japanese cheesecake soon in addition to their ridiculously delicious macarons sooo all is good in the world. 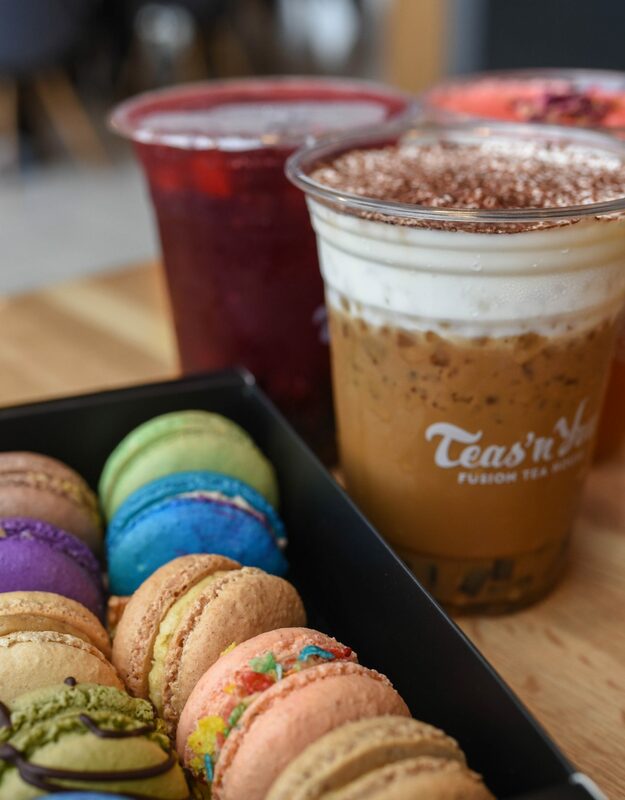 We mentioned HERE that Bake Shop in Arlington had the best cookies/macarons in Nova, but Teas’n You gives them a run for their money. It’s definitely a tough call between the two, but we HAVE to give Teas’n You extra props for their unique flavor offerings. Ferrero Rocher macarons? Cinnamon Toast Crunch macarons? 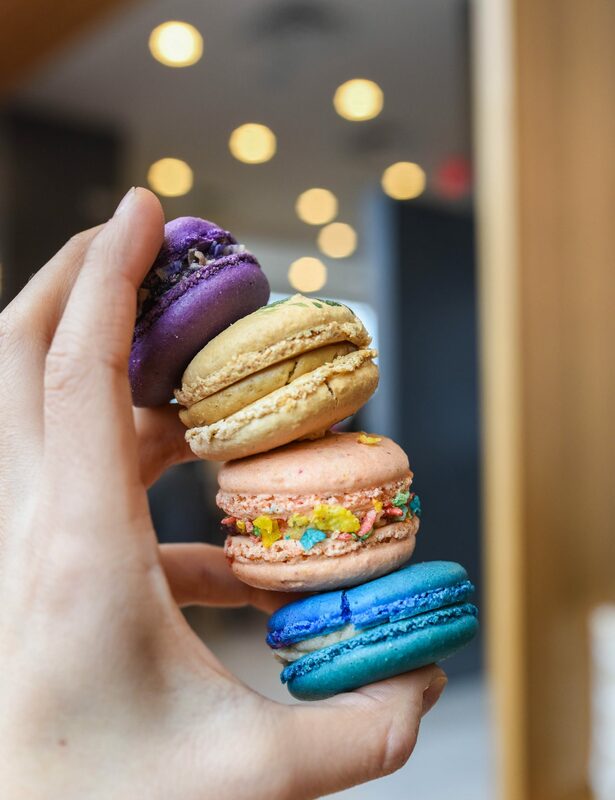 FRUITY PEBBLES MACARONS? Sooooo much yes. Sold for $2.75 a cookie and worth the splurge 200%. Anywho, that’s it for today, Nomsters! We hope you enjoyed reading all about our latest food escapade in Nova. For more VA foodporn, make sure you all click HERE. ‘Til next time, friends!